You are here: Home / social media / 4 years worth of work got me 1 client….and that’s a good thing! A Pilates Studio Owner Experience. 4 years worth of work got me 1 client….and that’s a good thing! A Pilates Studio Owner Experience. You know how when someone talks to you about blogging, you make excuses and say you don’t have time or you don’t know what to write about? When I started working with Carey Sadler, she said some of those things too! 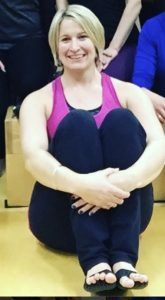 Now she blogs regularly for Rivercity Pilates, and she also blogs about some of her Pilates Studio marketing experiences for Farm Girl Marketing Solutions. My new client today was THE IDEAL client. She came into her session telling me about how she had 7 months of low back pain, was finally starting to feel better and really just needed to gain core strength. She was one of those clients that you could tell was just falling in love with Pilates every time we did a movement! She listened to cues intently, tried her best, moved well and was so excited to get started. Where did she come from? … about 4 years worth of work. She met me 4 years ago at a luncheon I attended for my husband’s company as her husband worked for the same company. Since then she has followed us on Facebook and she told me she was eyeing our 4 week beginner series for awhile and just waiting until a time when it would fit into her schedule. Sometime during our session when I brought something up she mentioned, “oh I knew that…. I’ve read every blog you’ve written, read all the frequently asked questions and pretty much read your entire website”. At this moment internally I was jumping for joy. She commented on what a welcoming place the studio was and from the moment she walked in the front door our front desk staff made her feel at ease, comfortable and excited to be here (again…another proud business owner moment for me). So why am I telling you this? To inspire you to stay consistent with your marketing efforts. Rarely does 1 Facebook post, 1 blog, 1 time of telling someone about Pilates, or 1 recommendation from a friend get a client in the door. They say it takes at least 7 “touches” to inspire a perspective client to make a decision or take action. When it comes to making a decision to go to a new exercise place I’m guessing that number is more like 37! Some times those 7 (or 37 touches) take years! So many of our new clients tell us that they have been following us for a long time before they actually have the courage to come in or before the timing works out for them to come in. Need some help being consistent with your marketing? Farm Girl Marketing Solutions can help! Set up a complimentary consultation to learn about how we can help you create consistent ways to reach and touch future clients! 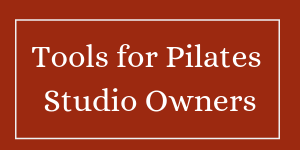 Previous Post: « Help New Clients Find Your Pilates Studio Front Door!